Cohen is due to report to prison next month to serve his three-year sentence. 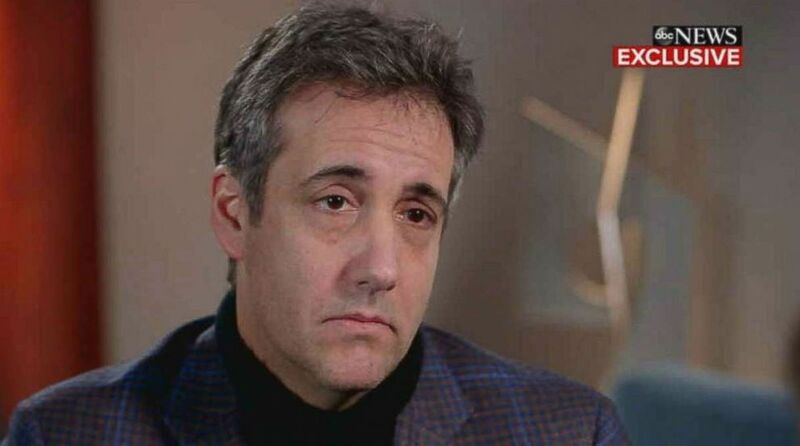 A photo showing Michael Cohen out on the town after postponing his congressional testimony due to “post-surgery medical needs” prompted a fiery rebuke from the Senate Intelligence Committee’s leading Republican on Tuesday. But a spokesman for Cohen took issue with the senator’s characterization of his client’s actions. Prior to Monday’s postponement with the Senate Intelligence Committee, Cohen had already pressed pause on two other scheduled hearings in the House of Representatives, citing “threats against his family from President Trump and Mr. Giuliani.” Trump denied the allegation and said Cohen was not threatened by him, but is "threatened by the truth." “It should be noted that Mr. Cohen committed to all three committees that he would voluntarily testify before the end of the month,” Davis said Tuesday. Cohen is due to report to prison by March 6, when he begins a three year sentence handed down last month after he pleaded guilty to financial crimes, lying to Congress and campaign finance violations. Burr suggested that if Cohen does not voluntarily appear before then, he could issue another subpoena for his testimony. "I would prefer to get him before he goes to prison," Burr said. "But you know the way he's positioning himself not coming to the committee, we may help him go to prison." ABC News' Mariam Khan contributed reporting.